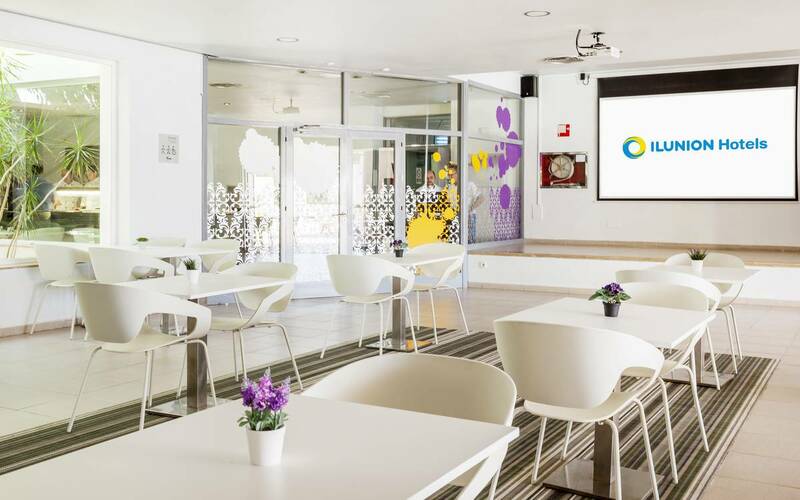 In aparthotel format, Ilunion Menorca presents a broad range of 123 designer apartments, refurbished in the last year, with 1 or 2 bedrooms. 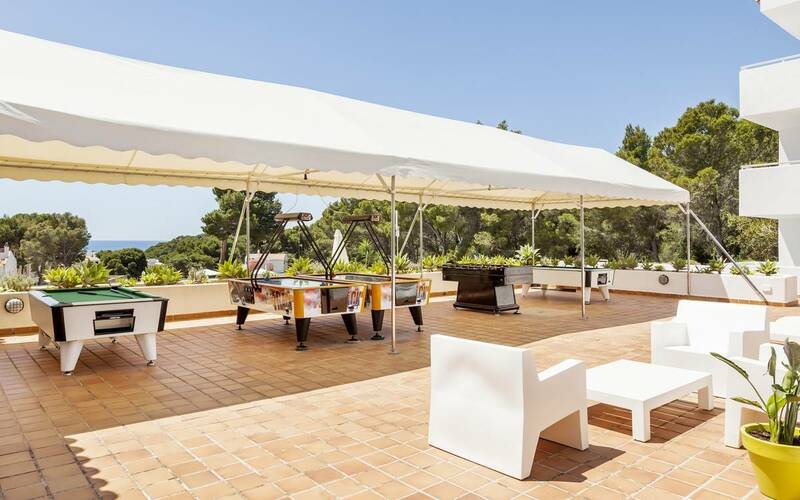 All the apartments have a terrace, living-dining room and a small but fully equipped kitchen area, and they have fabulous views over the pool inside the resort with the sea on the horizon. 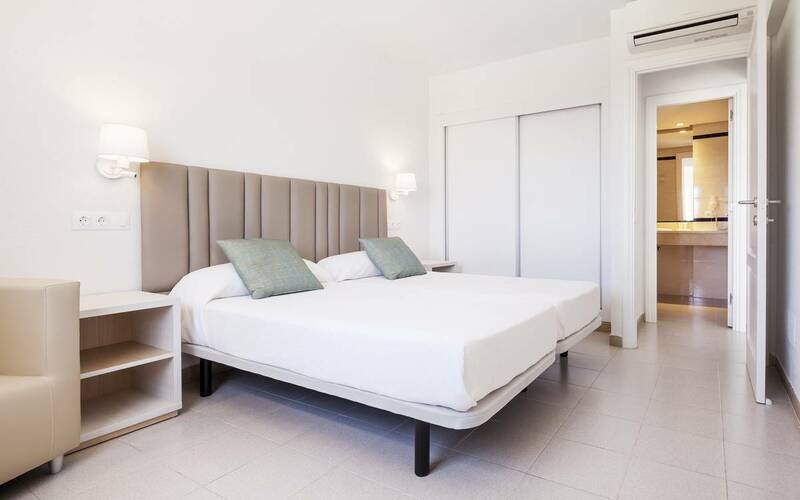 Save 10% by booking at least seven days in advance. 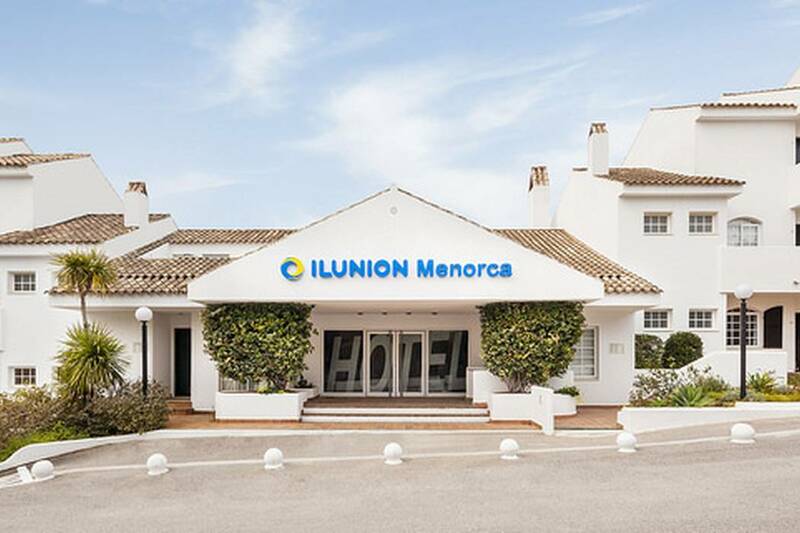 Enjoy a holiday in family or as a couple at Ilunion Menorca, and complete your stay with a broad spectrum of services and facilities for you and yours to enjoy: You'll be impressed by its large outdoor pool and its unmatchable panoramic terrace. We have a Miniclub service with activities for children as of the age of 4. This will allow you to relax while they are looked after and having fun. Please enquire at reception. Don't miss the Balearic Archipelago and the incredible island of Minorca. 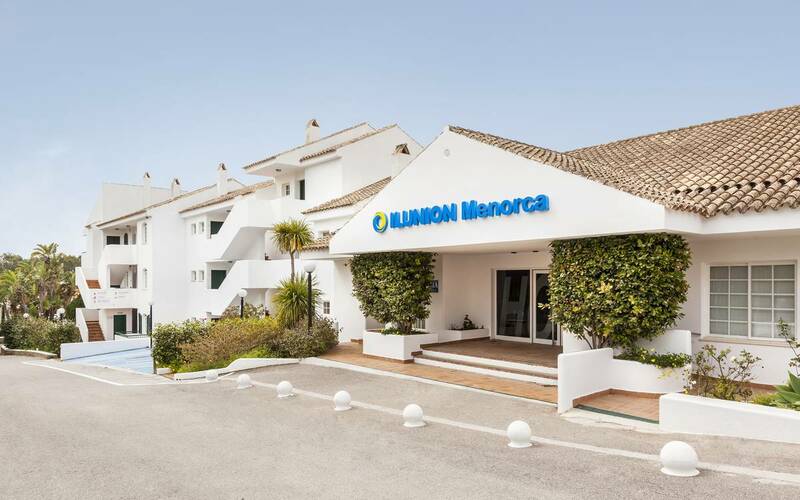 Dominating the hillside that leads to Cala Galdana, a spectacular beach with white sand and crystal clear waters, is hotel Ilunion Menorca. Discover a real natural paradise and learn the island's history as you enjoy all the conveniences and services offered by the Hotel. Explore the surroundings of our hotel in Minorca and discover the island: Mahón, the capital of Minorca, is a town restaurants and cultural activities that are worthy of visiting, but unquestionably the most beautiful trip in the entire island is to Ciutadella, with its romantic port and square, whose views and fresh fish cuisine leave no-one indifferent. Another perfect stay at our favourite hotel. 5 stars to all staff! We had a great week at this hotel in July 2011. Large and clean room with AC , perfect for a large family, kids loved it .